BUENOS AIRES, Argentina — Argentines expected the final of the century between their country's biggest clubs and eternal rivals. Instead, the world witnessed one of the biggest embarrassments in South American soccer history. 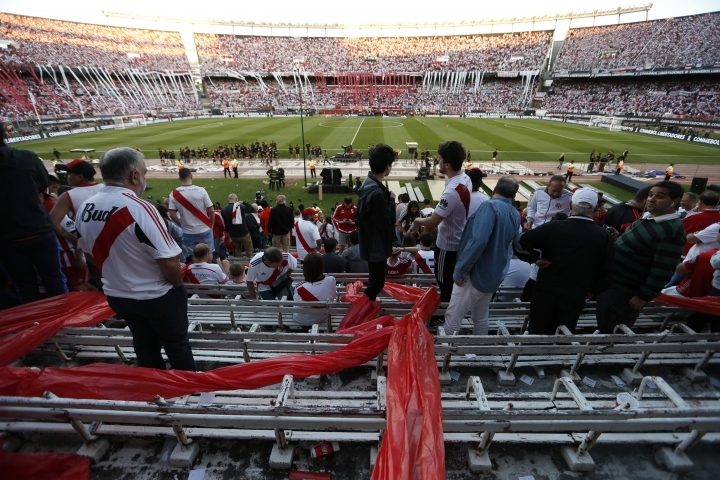 The Copa Libertadores final was postponed to Sunday after Boca Juniors players were injured when their bus was attacked by River Plate fans. CONMEBOL President Alejandro Dominguez announced the decision on Saturday, just 10 minutes before the final was supposed to start. "One team didn't want to play and the other didn't want to win under these conditions," Dominguez said. 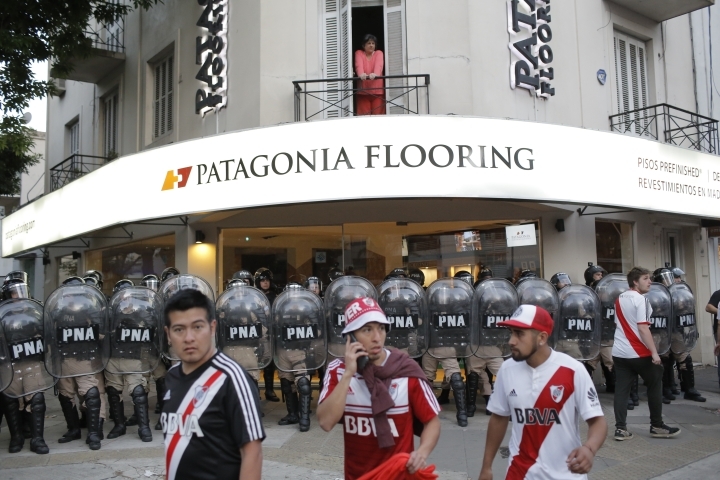 Boca players were injured in their bus just a few blocks from River's Monumental de Nunez Stadium when rocks and pieces of wood thrown by River supporters shattered the windows. Some players were also affected by tear gas and pepper spray used by police to quell the violence. Boca captain Pablo Perez and teenager Gonzalo Lamardo were taken to nearby hospitals, where fans gathered in support. Perez had injuries to his arms and an eye, according to images of Boca's locker room shared on social media. Lamardo had trouble breathing because of the gas. Earlier, CONMEBOL said in a statement that its doctors noted Boca players "suffered superficial skin injuries" and two "said they had eye injuries, which could not be confirmed." "We believe that under the medical point of view there is no reason to suspend the match," the doctors of the South American soccer body said. "This is football, not war. Neither team wants to play because this match would be unnatural," he said. Dominguez met with club directors and FIFA President Gianni Infantino before he announced the postponement. "There was a gentlemen's pact with both clubs," Dominguez said. "There was a request from both clubs for the match to be suspended." The game had been called "The Final For All Time" because it is the first time the two fierce rivals had met in the final of South America's most coveted club tournament. CONMEBOL initially delayed the kickoff of the second leg for an hour, then postponed it for 2 hours, 15 minutes to 7:15 p.m. local time (2215 GMT). 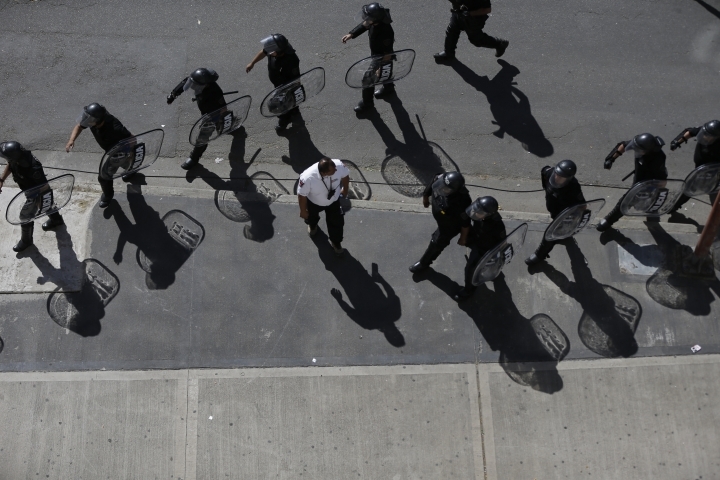 After the match was suspended, fans clashed with police outside the stadium. At least 30 people were arrested, according to local media. 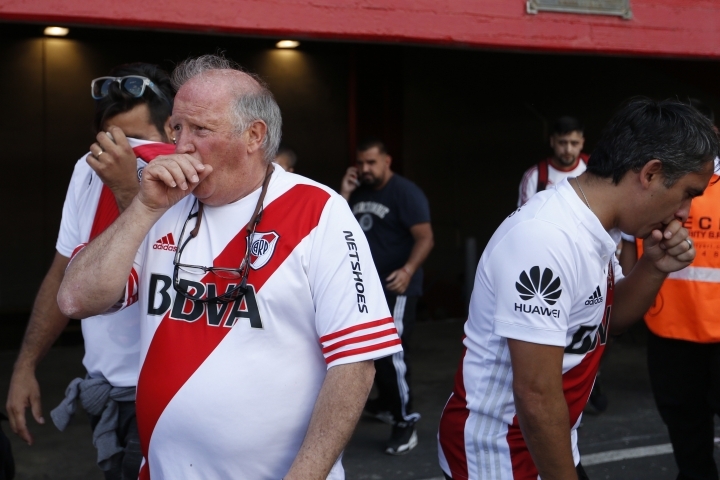 Some of the more than 66,000 River fans also tried to storm into the dressing rooms, interrupting abruptly a TV interview of River president Rodolfo D'Onofrio. "We want to play a match that is head to head," he said before he was forced to run in the chaotic inside of the Monumental de Nunez. "It is regrettable that a divine party like this was interrupted by 15 hooligans. We were stopped from playing a match that the entire world was watching." D'Onofrio also said "there should have been adequate prevention" to guide Boca's bus safely to the stadium. 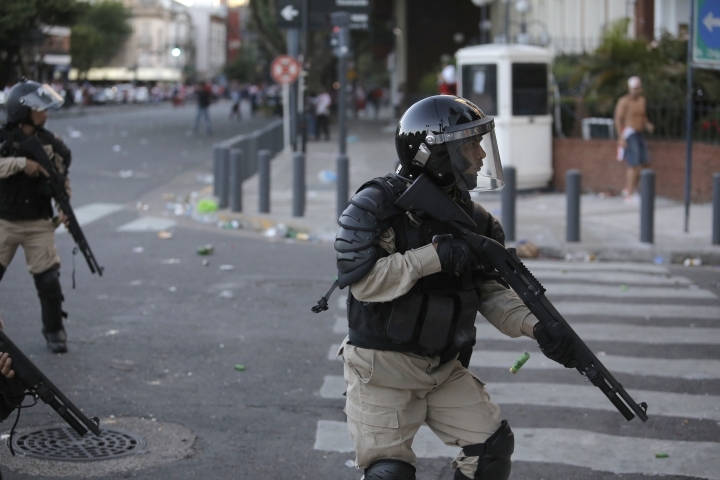 Buenos Aires public security secretary Marcelo Alessandro admitted there was a security failure that opened the way for the attack. Boca President Daniel Angelici was escorted by bodyguards and security forces inside the stadium while River fans shouted "Coward!" "Matches have to be won and lost on the pitch. But we were not in the same conditions to play," Angelici said. "As an Argentine and as a football executive, I am embarrassed...look at the spectacle that we gave the world." The first leg of the Copa Libertadores final was played three weeks ago and ended 2-2. It was delayed by a day following torrential rain that flooded the field at Boca's La Bombonera stadium. 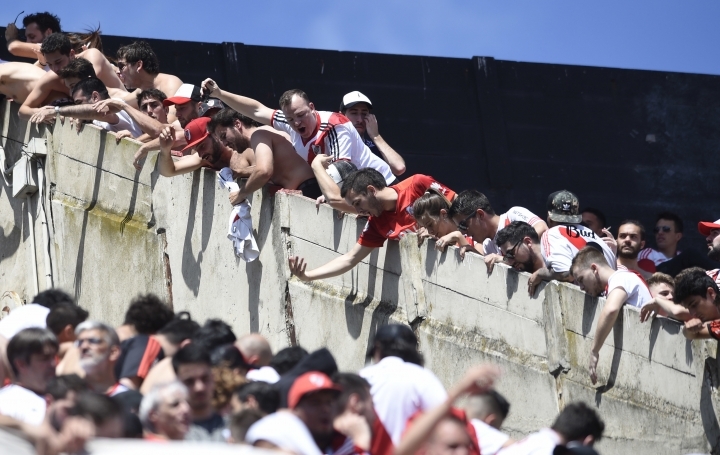 Boca fans were not allowed in the River stadium following a 2013 ban on visiting supporters aimed at fighting Argentina's endemic soccer violence. But it wasn't enough. 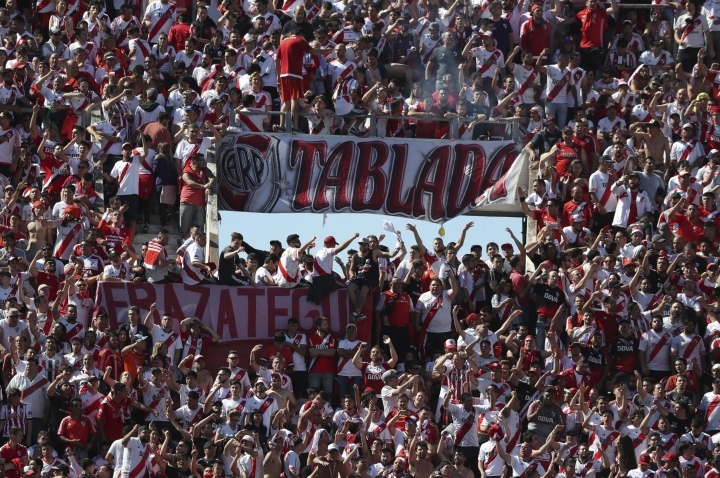 No game seems more volatile than Boca vs. River. "It's a shame. 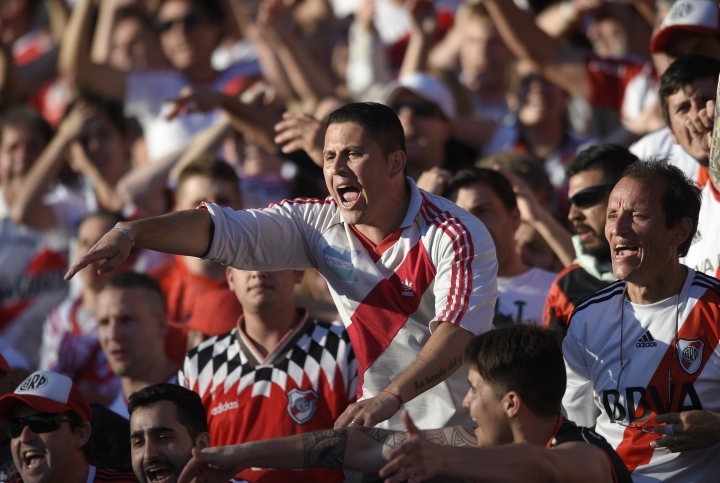 Security failed," Pablo Wende, a crestfallen River fan said as he walked out of the stadium with his sons, Federico and Luca, who wore the team's white shirts with a red diagonal band. "We were looking forward to this final, Like everyone else in the world." AP Sports Writer Mauricio Savarese contributed to this report from Sao Paulo.